I bought a little peppermint plant on Sunday – on an impulse – because I love the smell, and it looked pretty. Now of course I had to do some research because I need to find a good spot for it in my garden. Mine is called “Mentha peperita nigra”. It looks like a dead ordinary mint plant to me – I remember these from my childhood – we had this in a garden somewhere once … I think that’s why I love it, the smell reminds me of early childhood. Back to my research – The very first thing I find is this warning: Mint grows very easily and is VERY invasive. If you don’t keep it well contained, it will easily and quickly grow into other areas of your garden! (from howtogarden). Thanks guys. Why don’t they write this on the little pots that entice impulse-buyers like myself at the Nurseries? … Ok, no problem, I’ll keep it in check. The last thing I need is another “Ivy-type invasion” happening in my garden. 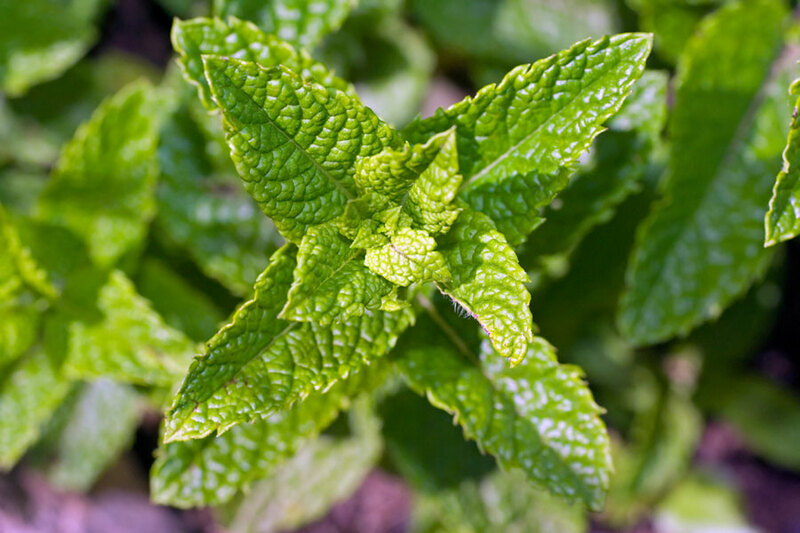 On the positive side, I’ve learnt that Peppermint repels many harmful insects including two that trouble me, ants and aphids! Yipee! Next I read that Mint will grow nearly anywhere, but you will have the most success (and the least troubles in terms of plant diseases and insects) if you grow it in semi-fertile soil in a partial shade location in your garden – Sounds like this little plant was “meant-to-be” in my garden! Guess where Mr Peppermint is going? Joining the Nasturtiums below the Lemon Tree! I love the invasive nature of mints. I have spearmint and peppermint growing in the ‘wild’ borders of the yard. The more they creep into the ‘lawn’ the better it smells on mowing days. The flowers might not be anything to write home about but the bees love em. Ambush bugs also seem to favor the mint flowers – to the surprise of both bees and wasps. Nice post on the mint and good information about it being invasive in the garden. Once I made the mistake of just planting it my garden and soon found out how much work it took to keep from spreading. A friend told me of a way to stop the mint from spreading and becoming so much work. He places a slightly larger pot in the ground then places the potted mint inside of it. Then covers with mulch so its looks as if it planted normally. Every so often, he removes the potted mint from it place and trims any roots that have started to grow outside from drain holes. Once done trimming he places it back. Thank you for the really nice post and will be reading more of your work each day. Hi Chris, I also have a peppermint in my garden. I seem to have this one contained – give it some chickens and it stays put! I do like the idea of it repelling ants and aphids. Maybe I should try it closer to the veggie patch OR under the lemon tree with the Nasturtiums like you suggested! Thaks for that tip! Hi Catmint – yes, as far as I know they need sun – My Lemon tree gets plenty of sun though because it its one of the many trees that is causing all the shade! The trees don’t lack, its the plants below The nasturtiums grow seemingly regardless of the fact that they get little sun. But I would say that area of the garden is semi-shaded, not deep shade. nasturtiums, mint and lemons – a divine combo – but don’ you need sun for lemons and nasturtiums? Good you did your research. They do smell great too. I agree some plants like mint should come with warning labels. If only everything we planted grew so well. I planted some in a garden years ago, and it quickly took over, and I couldn’t get rid of it! I can’t be without it in the garden though, so now I only plant mint in pots!